Yet another animal has died at SeaWorld. 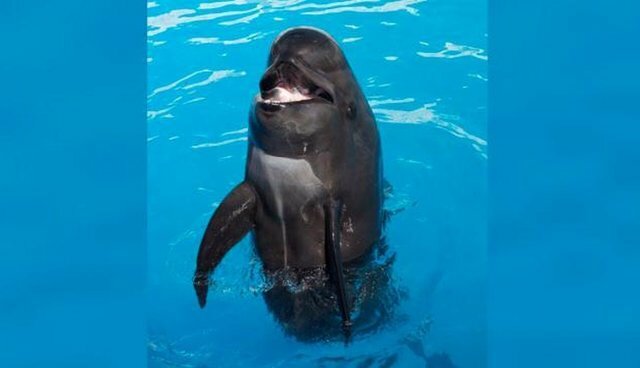 Bubbles, a short-finned pilot whale who lived at SeaWorld San Diego, has passed away, the company announced on Friday. She was the sixth animal to die at the marine parks since July. 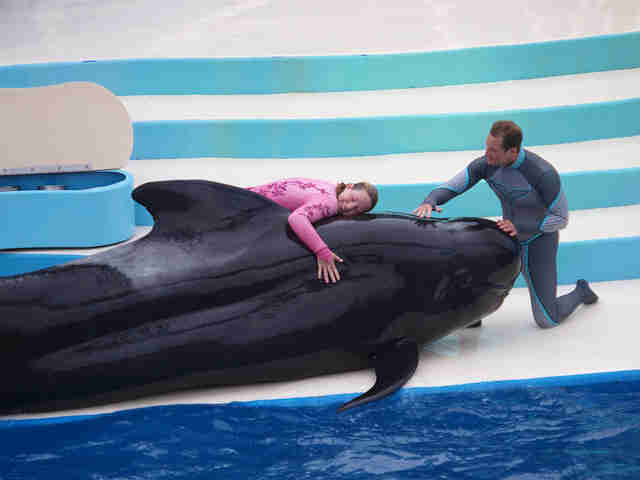 While many of SeaWorld's animals die young, Bubbles, who was estimated to be in her early- to mid-50s, was the oldest pilot whale in a zoological park, according to SeaWorld. But while her life was longer than that of many of SeaWorld's marine mammals, it was just as unnatural. Bubbles was captured from her wild family off the coast of California in 1966, according to Ceta-Base, and sent to Marineland of the Pacific, a now-closed California marine park. She lived there for more than two decades, performing tricks for an endless stream of tourists. "It seems that Bubbles was born to be a superstar," SeaWorld wrote in a 2010 press release. 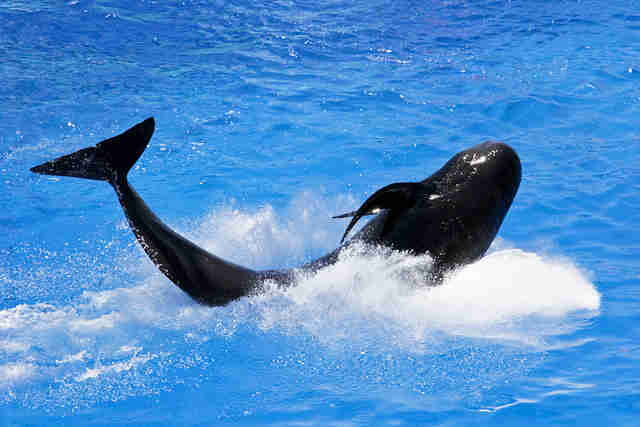 "As a young 12-foot-long, 1,600-pound female pilot whale, she began her expansive career ... and was eventually given her own stadium and placed center stage. Her talent and allure made her an international superstar." When SeaWorld purchased Marineland in 1987, it transferred Bubbles to SeaWorld San Diego. She would spend another 30 years at SeaWorld, performing regularly with SeaWorld's trained whales and dolphins. "Bubbles had been a member of the SeaWorld family for nearly 30 years," SeaWorld said in Friday's statement. "While Bubbles will be greatly missed by all who knew and loved her, she has helped generations of park visitors gain a better appreciation for all animals and the ocean environment." Bubble is the latest in a string of animals to pass away at SeaWorld. Last July, an unnamed 3-month-old beluga calf passed away at SeaWorld San Antonio. In November, a 2-year-old beluga calf named Stella died at the same park. Unna, Tilikum's 18-year-old daughter, died at SeaWorld San Antonio in December. Betsy, a 33-year-old Commerson's dolphin who had been taken from the wild as a calf, died at SeaWorld's Orlando Aquatica park in January after being moved from SeaWorld San Diego. Dart, a Pacific white-sided dolphin, passed away at SeaWorld San Antonio just a few weeks later, at just 12 years old. Of the six animals who died, only two of them - Bubbles and Betsy - reached a mature age. Since the 2013 release of "Blackfish," SeaWorld has been facing a string of accusations about the welfare of its animals, from violent fighting among tank mates to claims of drugging animals and overzealous breeding. 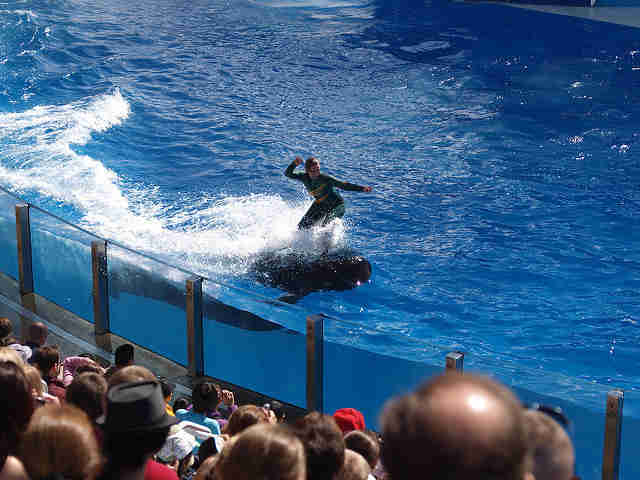 There's been ample evidence that the animals at SeaWorld are suffering psychologically. Just last week, video emerged of Morgan, a SeaWorld-owned wild-caught orca at Spain's Loro Parque, unnaturally dragging herself out of the water to avoid the constant attacks of her fellow orcas. SeaWorld's also been struggling as a company - on Friday, the company's stock reached its second-lowest point since the film's release three years ago. SeaWorld has taken some steps to right its sinking ship. In March, it announced an end to its controversial orca breeding program - but in the same breath the company vowed to never release the remaining captive orcas to sea sanctuaries. Hopefully SeaWorld will continue to takes step forward for animals, however small - and intelligent animals like Bubbles will no longer spend their lives performing tricks in concrete tanks.